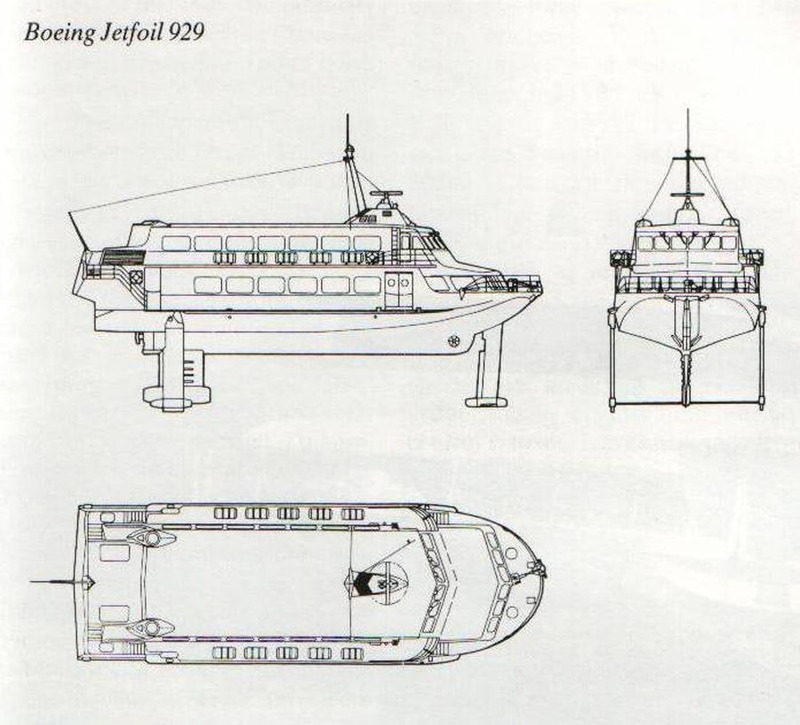 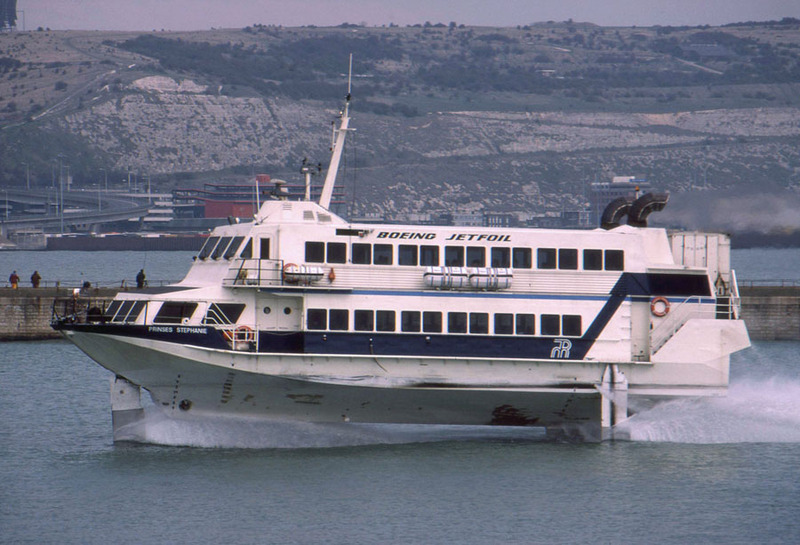 Aluminium 929-115 series Jetfoil high speed passenger ferry built in 1981 by Boeing Jetfoil Industries, Seattle, Washington, U.S.A. (Yard No 20) for Regie voor Maritiem Transport, Ostend, Belgium. 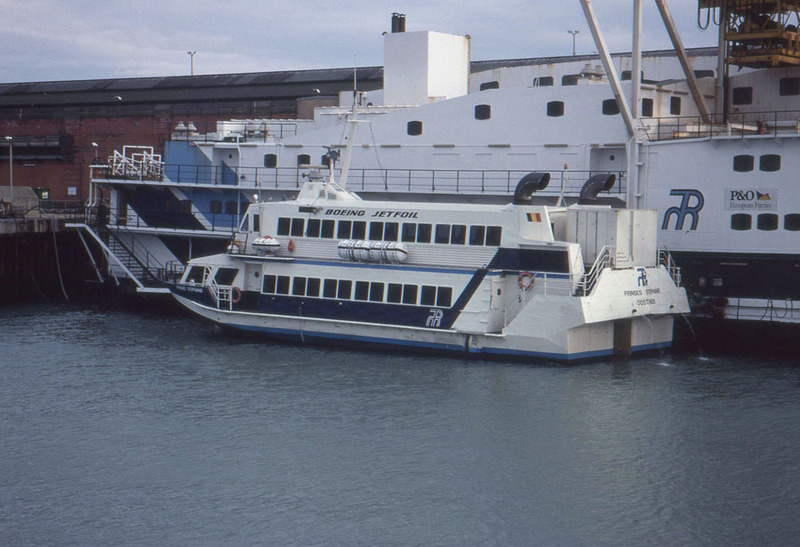 1981: Delivered to Regie voor Maritiem Transport, Ostend, Belgium. 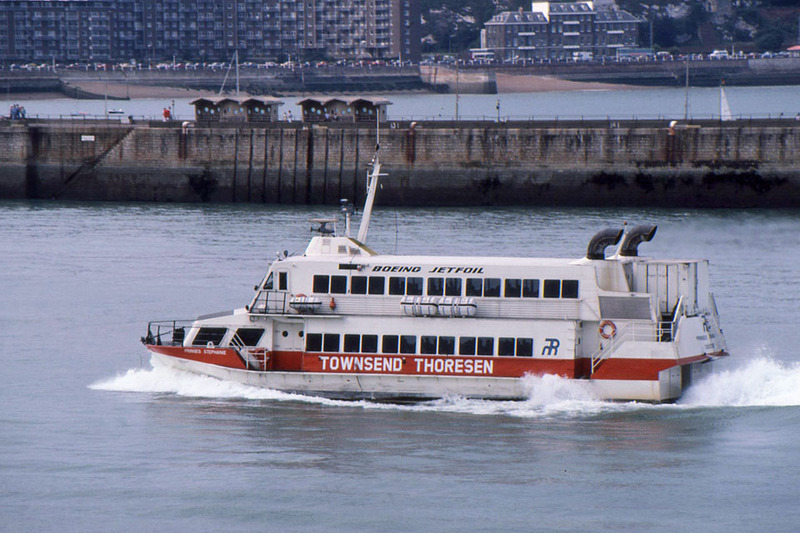 July 27th 1981: Commenced service between Ostend – Dover. 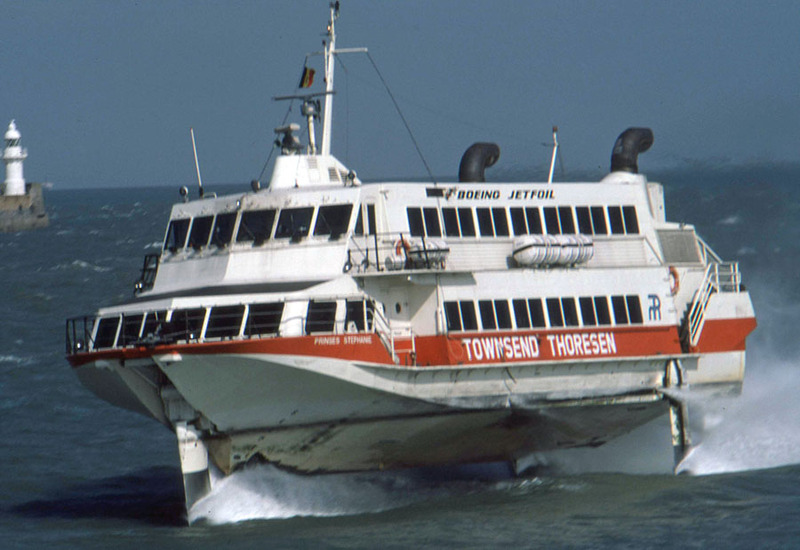 October 25th 1985: Regie voor Maritiem Transport entered into negotiations with Townsend Thoresen and an agreement was concluded. 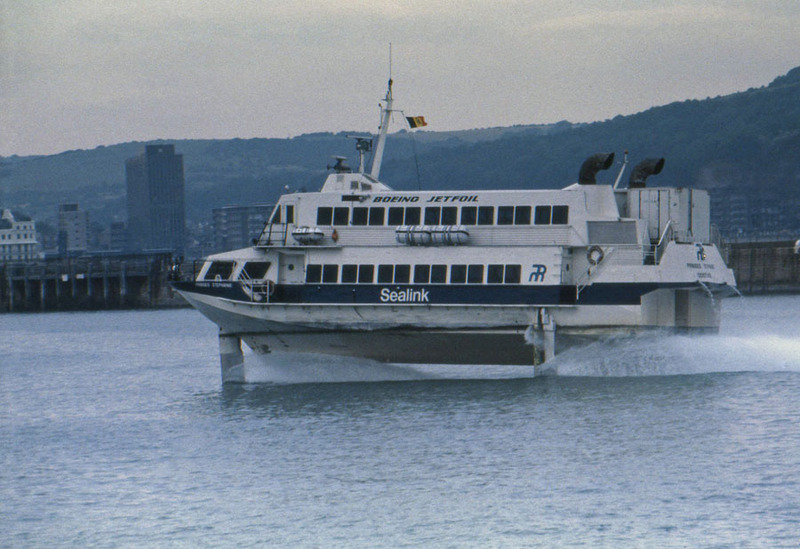 1987/1988: A completely new livery, reflecting that carried by the P&O European Ferries fleet. 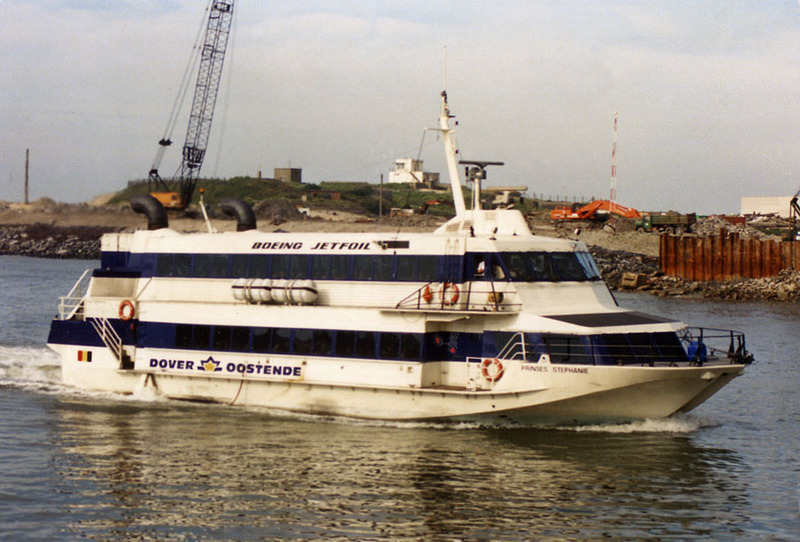 1990/1991: Fourth new livery in seven years under the official trading name, The Dover – Ostend Line. 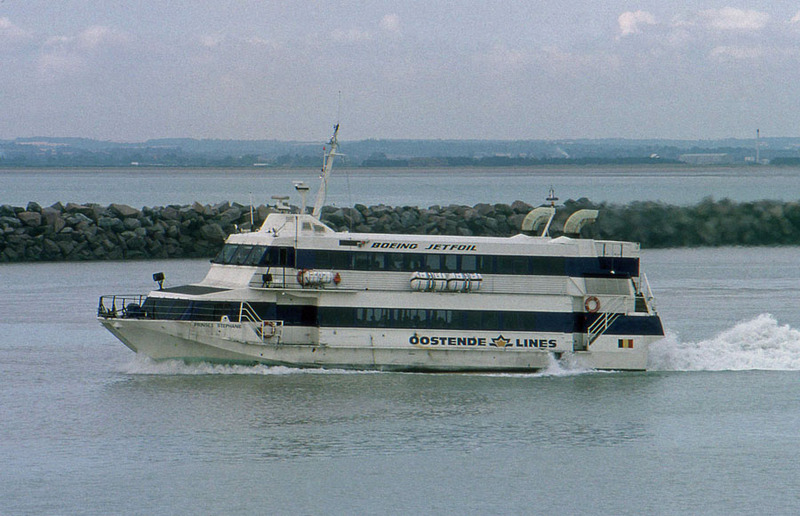 1993 (end): Announced that the Belgian company did not intend to renew its marketing agreement with P&O European Ferries, instead concluded a deal with Sally Line. 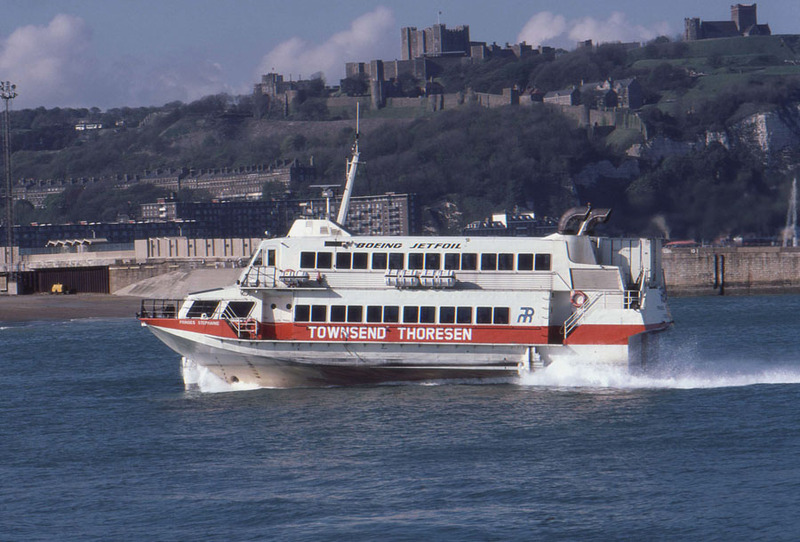 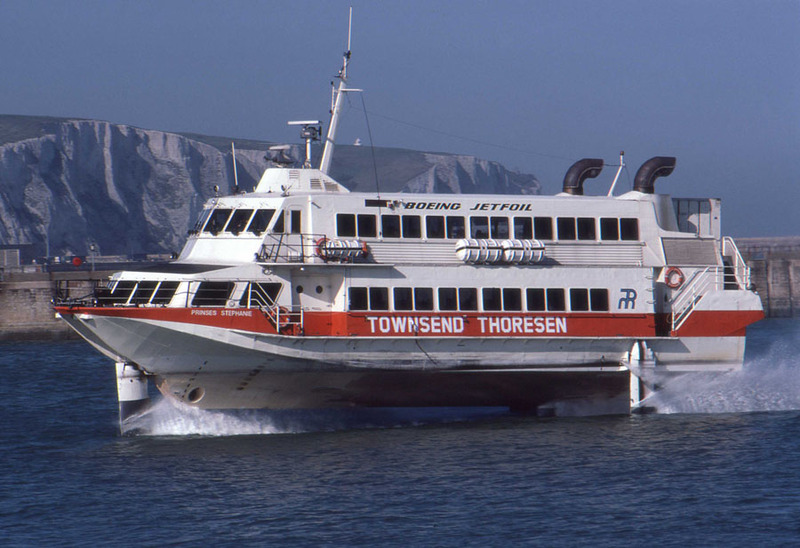 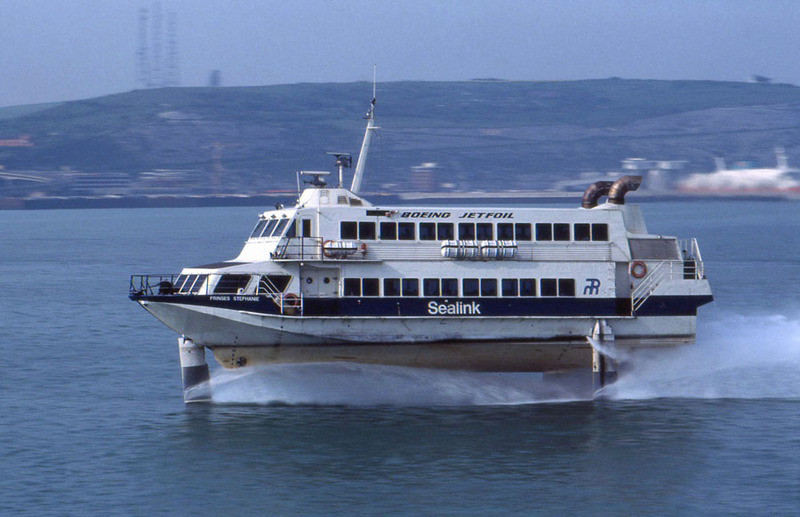 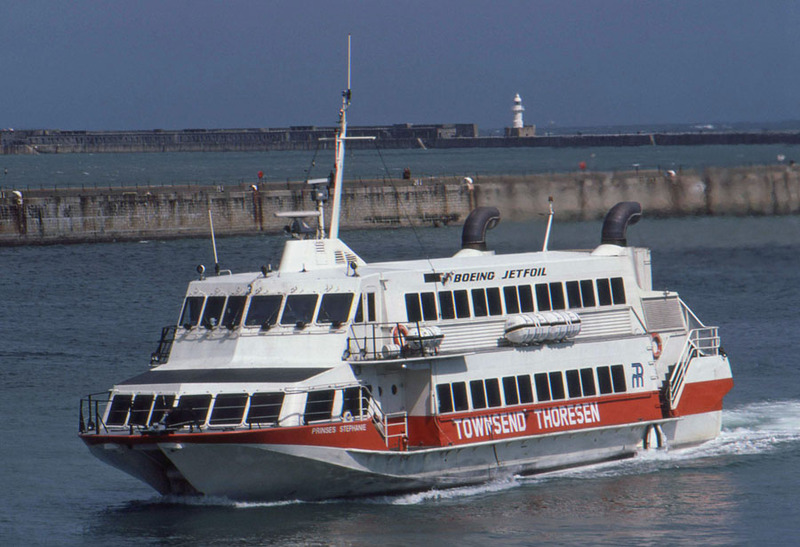 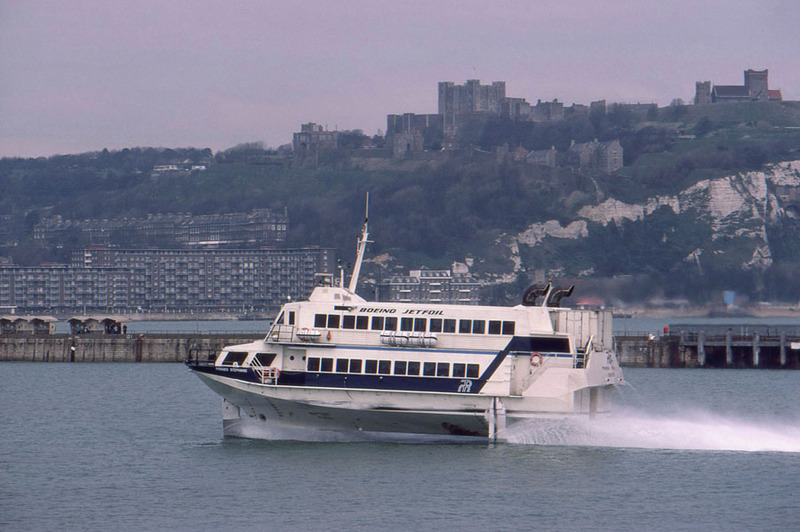 With effect from the following January RMT became known simply as Oostende Lines, transferring all its Ostend services, including Jetfoil operations from Dover to Sally’s base at the Port of Ramsgate. 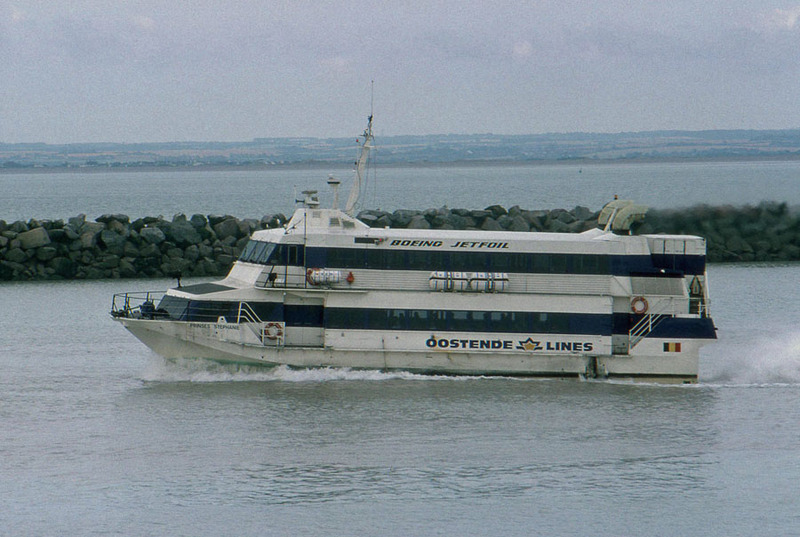 April 12th 1994: Commenced service between Ostend – Ramsgate. 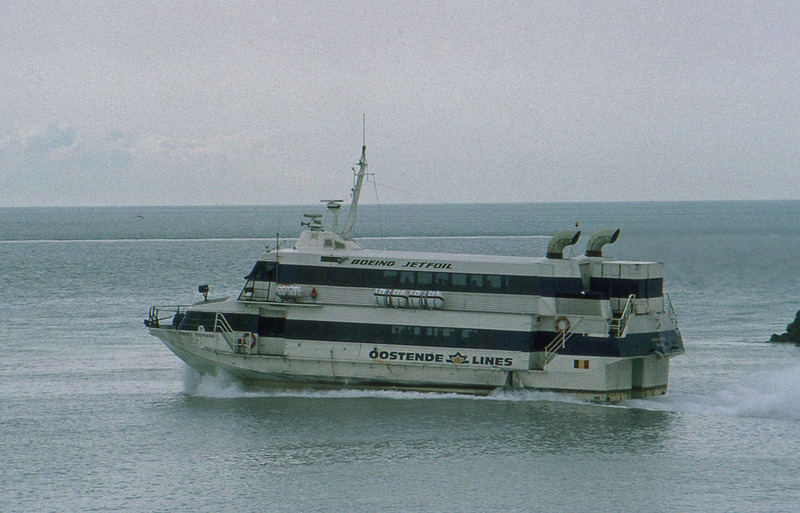 February 28th 1997: Final day in service between Ostend – Ramsgate, the laid-up in Ostend. 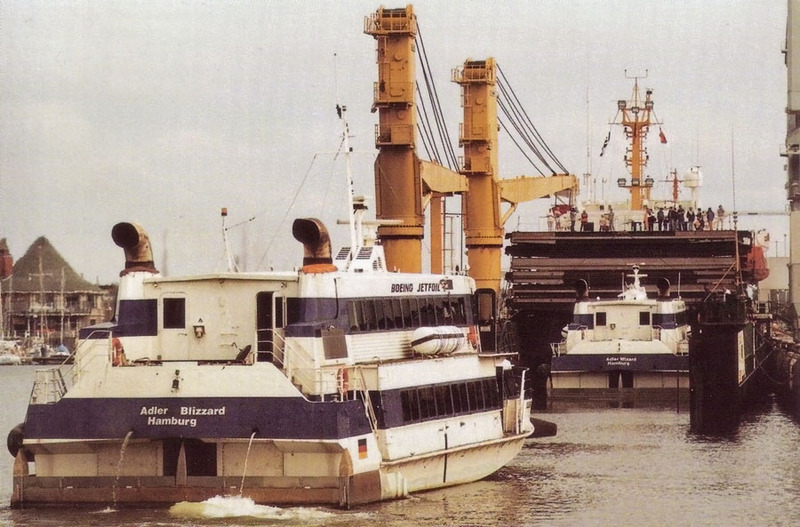 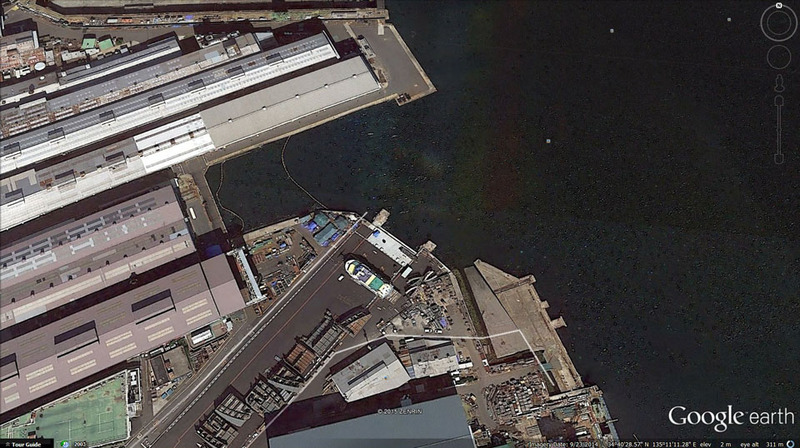 July 10th 1998: Sold to Adler Blizzard GmbH & Co. KG, Hamburg, Hamburg. 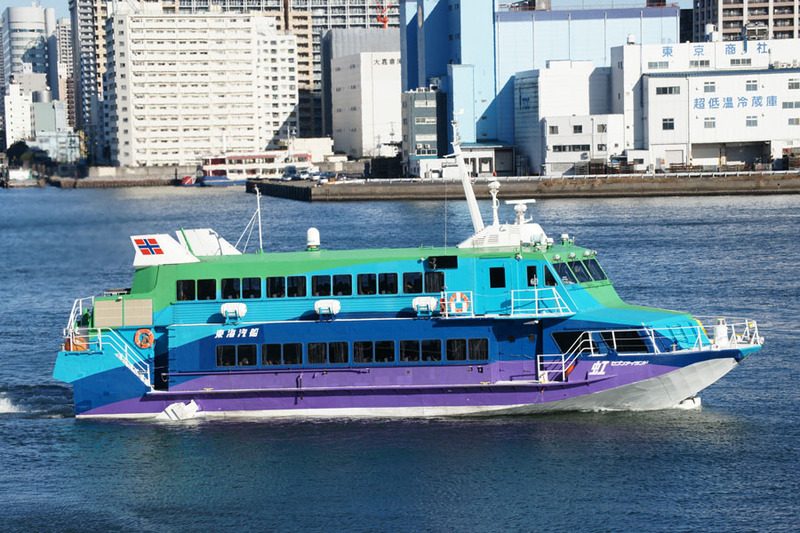 Renamed ADLER WIZARD. 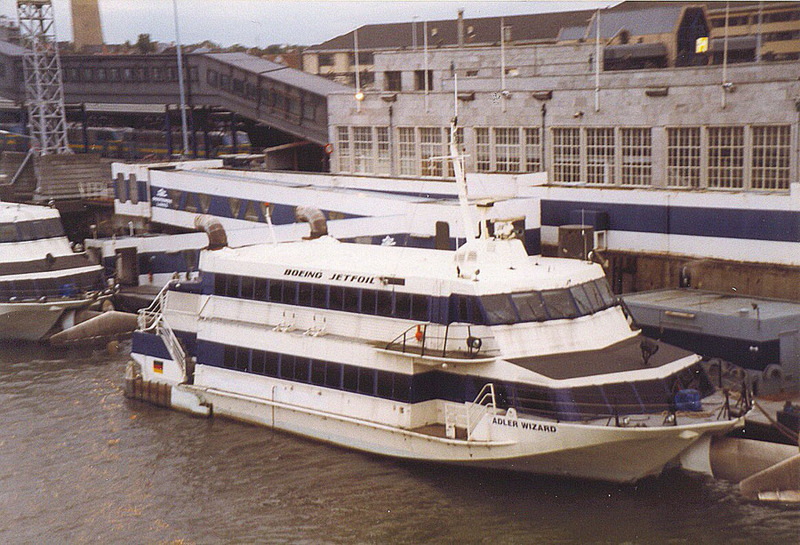 June 12th 1999: Loaded onto THOR SIMBA for transporting to Florida. 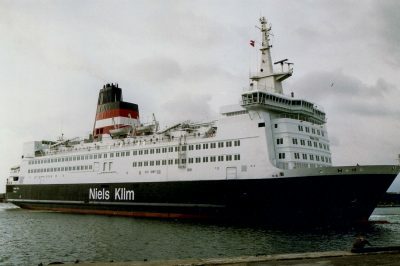 July 1999: Renamed SEAJET KRISTEN. 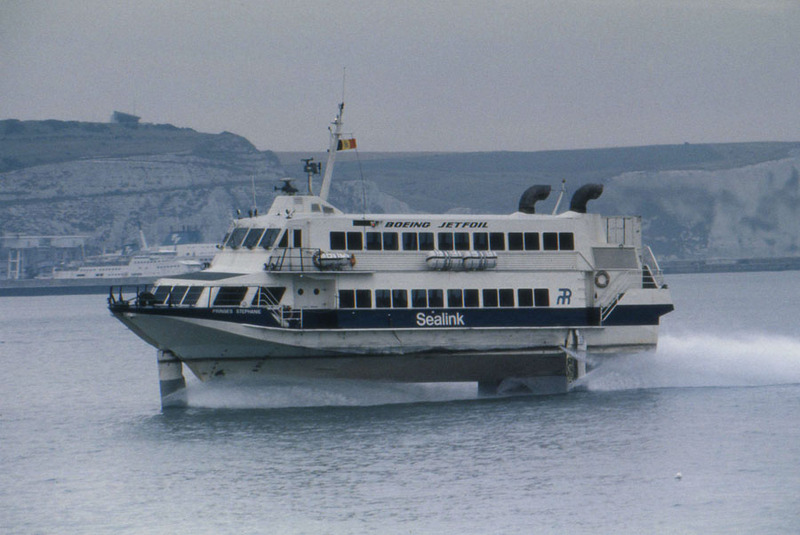 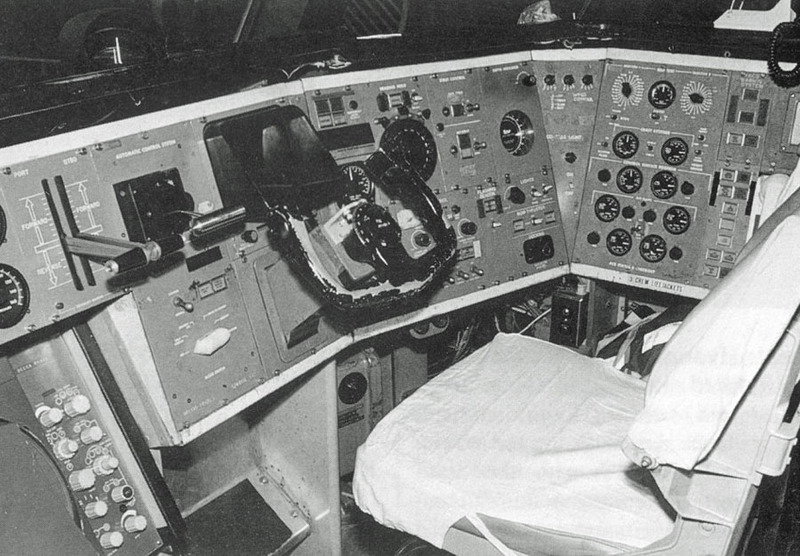 Suffered mechanical problems prior to entering service. 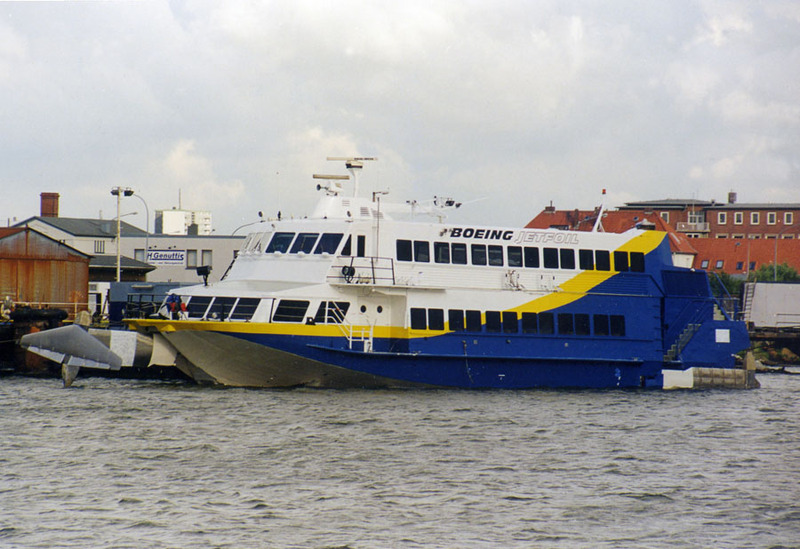 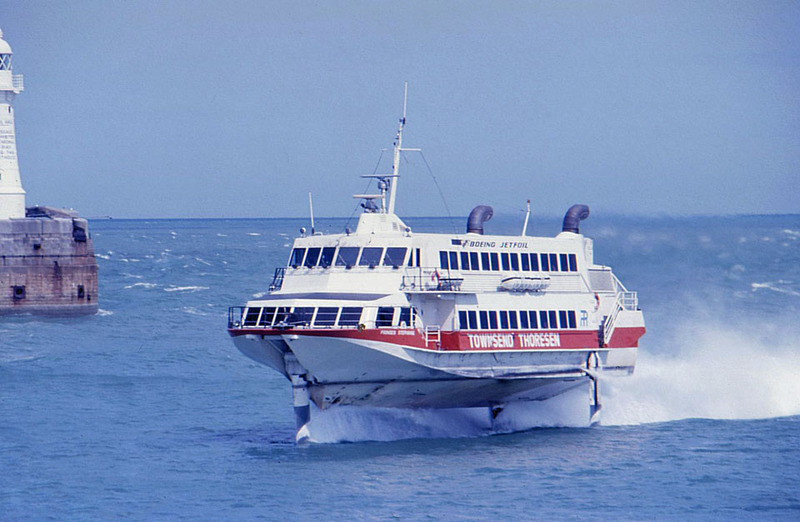 November 1999: Commenced service between West Palm Beach – Freeport. 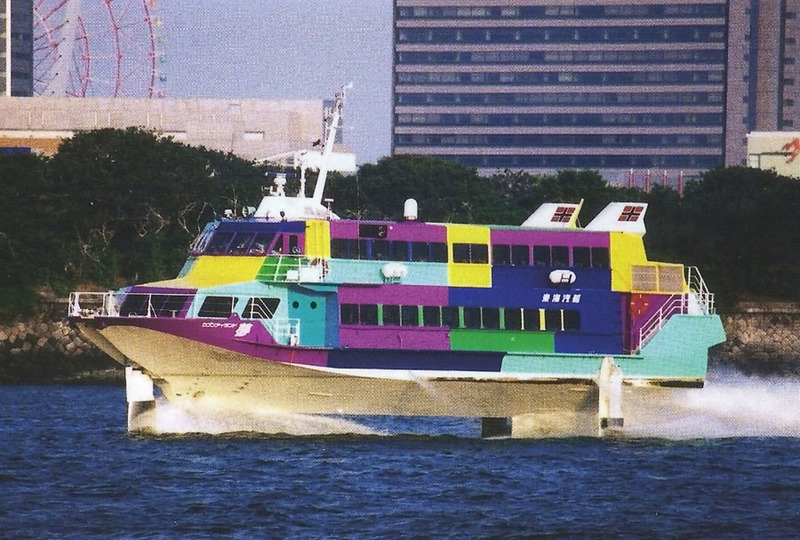 October 2001: Sold to Tokai Kisen, Tokyo, Japan. 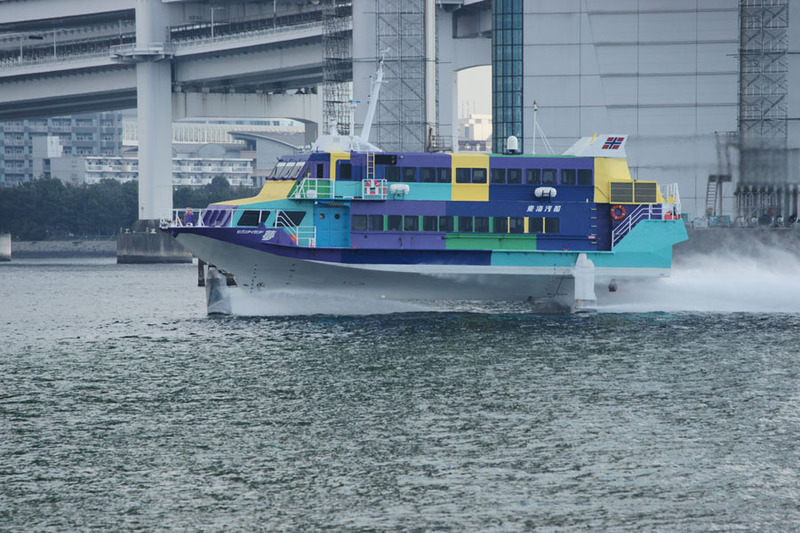 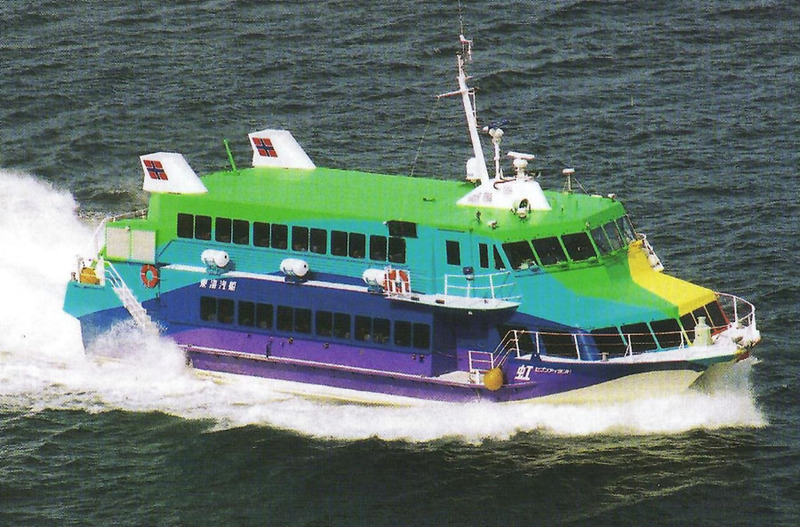 April 1st 2002: Commenced service between Tokyo – Oshima – Toshima – Shikinejima – Kozushima. 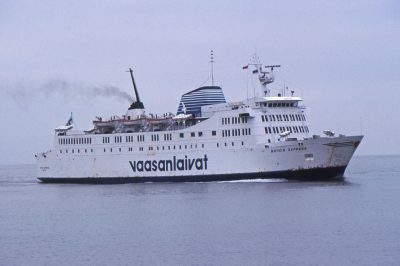 October 17th 2002: Renamed SEVEN ISLAND YUME. 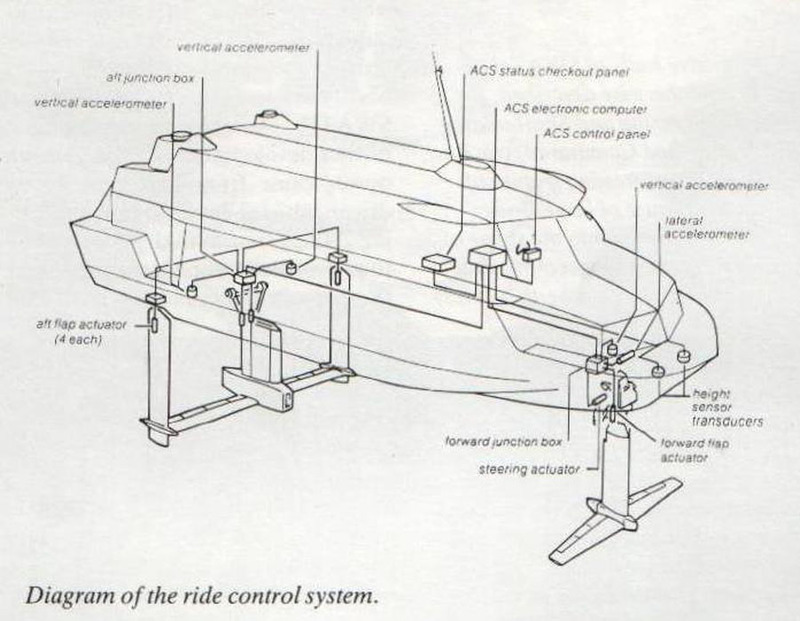 We would like to thank: Christian Eckardt, Raisuke Numata, Mike Sartin, Robert J Smith and Andreas Wörteler for their assistance in producing this feature. 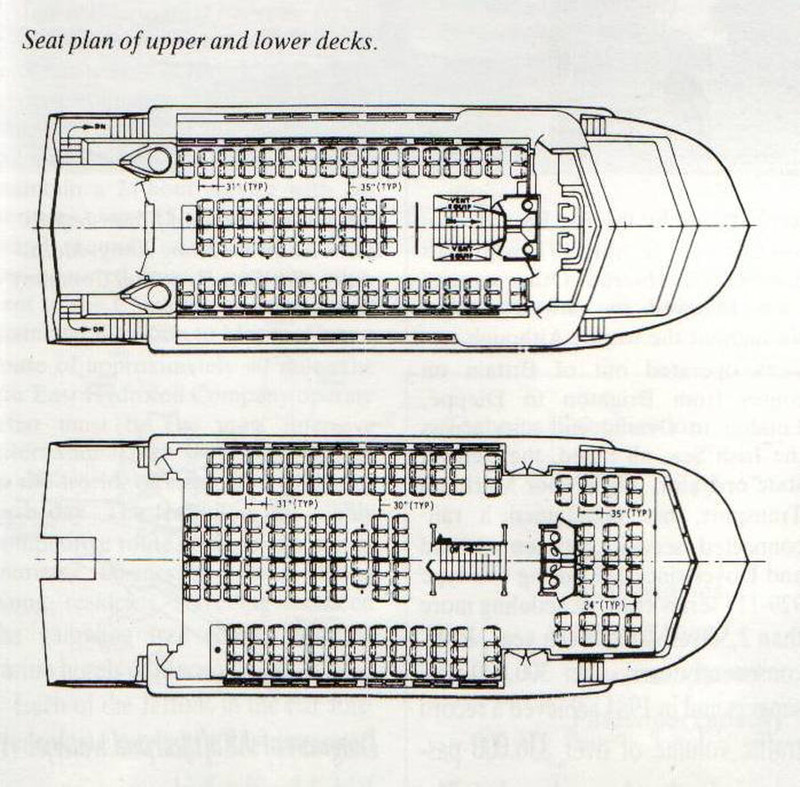 All information is believed to be correct and no responsibility is accepted for errors and omissions. 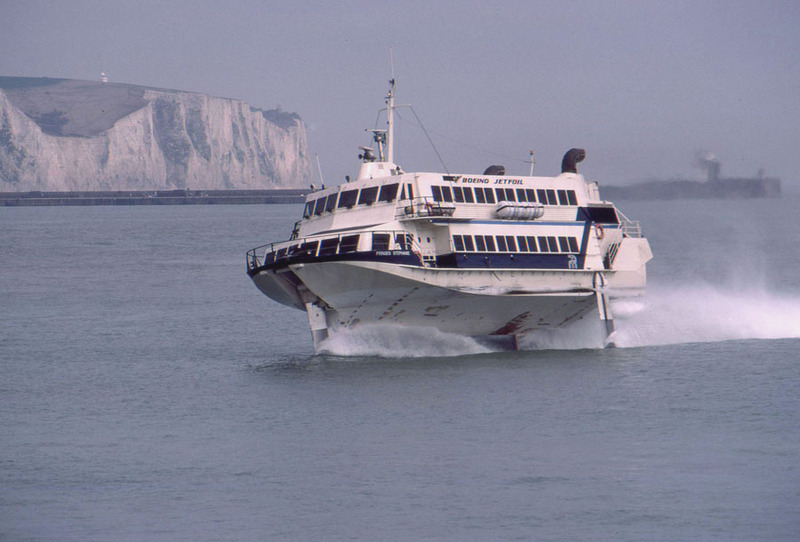 A special thanks goes to the World Ship Society (East Kent Branch).